Within the city of Frisco, the codes and time frames of finalizing the flooring for your business are specific and exact. At American Flooring Removal we know how important it is to remain on task, in the time frame that has been established, as well as within budget. Flooring is one of the first things a potential customer or client will notice when they come to your business, which sets the tone for your client’s expectations. If your tile, hardwood, laminate, concrete, or natural stone floors need to be replaced, you will need an affordable solution that provides security that your budget is not compromised for quality and excellence. Until now, traditional flooring removal processes and equipment was the only option to be had. The cost, mess, and inefficiency of working with a traditional flooring removal company has caused many business owners to delay their much needed repairs and upgrades. When looking to renovate or replace the floors in your Frisco home, look no further than our licensed experts at American Flooring Removal. 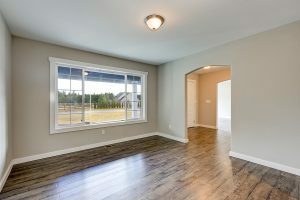 We understand that floors are often the best way to start building equity and value in your home, while changing flooring types or designs can change the look of your entire home, increasing your family’s safety and health, as wells provide the perfect space to entertain with easy and pride. The only question is, what do you do when your only option seems to be a messy, time-consuming, bank-breaking solution? Who can you call to find a clean, fast, affordable option? No matter your flooring removal needs, American Flooring Removal is the top choice for the Frisco area. With our licensed experts at American Flooring Removal, you are guaranteed that we understand the pain of having a dusty house or business when all you wanted was a new floor! Which is why we make it our primary goal from the beginning to ensure our process is dust-free and environmentally friendly. Our state-of-the-art equipment removes the need to have all the plastic drapery and coverings that traditional flooring removal processes require to minimize dust and debris. Quite literally, remodeling projects can create pounds of harmful dust particles, and we want to make sure your family, employees, and customers can live and work in a safe, dust-free environment after your floors are removed and replaced. We pride ourselves in our industrial-grade, dust-free equipment that has the power to remove the floors from a house or business building in less time than traditional flooring removal equipment can manage. Our efficient process leaves a superior, flat, clean subfloor ready for your new flooring installation. With the time saved on planning, sanding, and other preparation work, you can enjoy your new floors that much sooner! With our up-to-date processes, highly skilled professionals, and state-of-the-art machines, American Flooring Removal in Frisco promises incredible results. While it is true that American Flooring Removal is the only flooring removal company in the greater Dallas, Fort Worth area, we are confident that we are the only one for you! Whether you need a residential or commercial solution to flooring removal and replacement, American Flooring Removal promises a fast, affordable, dust-free removal solution. Our dust-free method leaves your floors perfectly prepared for the next step in your replacement and revamping project, and our easy cleanup helps you save money. Let us show you how American Flooring Removal can save you hassle, money, and time in your next renovation or home improvement project. Both homeowners and business owners in Frisco and the greater Dallas-Fort Worth area have been waiting a very long time for an affordable, fast, and environmentally solution to their flooring removal needs. But American Flooring Removal in Frisco is finally here, with the solution to your dust-free, fast, affordable, and efficient flooring removal needs! Everything from tile, hardwood, Saltillo tile, to ceramic, and many other types and styles of flooring, there is no better company to call than American Flooring Removal. Our dust-free, environmentally friendly equipment and clean, efficient process make us your best choice in the Frisco and greater Dallas-Fort Worth metro area, if you are looking to remove and replace your floors with an affordable, fast, clean solution. Our licensed experts know you need to have excellent work done on time without compromising your business, clients, or family while equally focusing on quality and state of the art technology to execute your vision with care and attention. We also provide the guarantee to all of our homeowners or business owners that we will clean up and remove all the debris from the site upon completion. Compare this to traditional flooring removal that is dirty, time-consuming, and generally costs a small fortune when you add in the preparation and cleanup before and after the removal work itself. Thankfully, there is now another option for the Frisco and the greater Dallas-Fort Worth metropolis. Your experts at American Flooring Removal promise a clean and efficient flooring removal at excellent prices and with fantastic customer service, each and every time. We can tackle any residential or commercial project in the Frisco and the greater Dallas-Fort Worth area. No matter the type of flooring, American Flooring Removal in Frisco can get the job done. Showed up on time with 4 very nice guys and had 330 sq ft of tile and 600 sq ft of carpet removed and cleaned up in about 4.5 hours. I know it’s more expensive than the local flooring guy quoted you. It doesn’t matter. Tools make the job and they don’t have these tools. Budget for it, it’s worth it, it’s a totally different experience. The dust free claim is for real, the attention to detail is incredible. Perfect work and great price! Owner came to give a bid. I scheduled while he was here. They arrived on time and were very professional,polite fast, neat, and careful. Didn’t cause a big mess. Hauled away debris. Equipment was loud, but noise was tolerable while in a nearby bedroom with the door shut. I wore ear plugs, too, to protect my hearing. Took about 3 hrs. for 252 sq.ft. Can highly recommend! Was only slightly more expensive (within &100 of a popular flooring company’s bid,) but was virtually dustless!!! True advertising! Five stars. Would use again. Paid by credit card (to get points- why not?) One of the best and easiest contractor experiences I’ve ever had, and I’ve had a lot of them. Very effective and clean. It is the best way to have tile removed!